I have heard people say that in life; sometimes they feel like they are going backward instead of forward. During a challenging season, that feeling can be even more magnified. They feel like they should be a lot further along than they are in life. Remember that it is only temporary. It’s time to leave those things behind, unless it is for a learning experience. As Willie Jolley would say, “A setback is a setup for a comeback.” Don’t look backward, and be determined to make your massive comeback today! While you’re coming back, remember to be determined to be resilient! When there is something that can take you down, don’t stay there. You have to bounce back quickly. The time spent on pondering what went wrong should instead be used to be productive and focus on the purpose and plans that God has for your life. Jewel Diamond Taylor says, “In a harsh storm the palm tree bends instead of breaks. After you have done all you can during your financial storm, health storm or relationships storm, just stand and be resilient. Bend but don’t break. Be flexible and stay grounded in your faith. Remember, this, too, shall pass. Don’t allow the difficulty and disappointments to make your heart hard like a stone. Remember you are not alone and you are stronger than you think.” ~ Jewel Diamond Taylor. 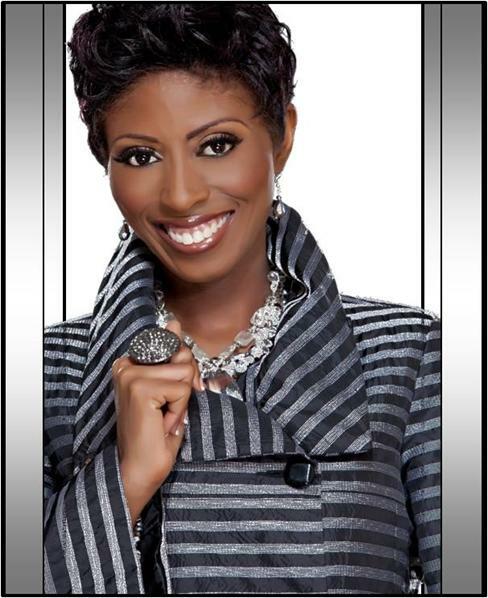 Melanie Bonita is an anointed Amazon Bestselling author, inspirational speaker, faith coach, prophetic dancer, gospel fitness instructor, poet, financial business consultant, veteran, and community leader. Melanie Bonita started being a very determined person at a very young age. She overcame many adversities that she faced in her life. Even though she had her daughter at age 16, married at 18, separated at 19, and divorced at 20, she still managed to get two degrees and bought her first house by the age of 27. In 2001, she started going through various health issues. She was diagnosed with arthritis in both her knees and was in three major car accidents which caused excruciating pain in her back and neck. Not understanding why the Lord wanted her to continue ministering through dance. She realizes now that she no longer dances, but ministers through her body and that her life is a living testimony. Now she just allows the Holy Spirit lead her. As she praises Him, she has no pain. Her motto is “There is healing in your Praise.” She was also laid off from her job and experienced financial hardship. Through all of her trials, she was still determined to reach her dreams, goals and aspirations. With the favour of the Lord, her tenacity and fortitude, she has been able live her dreams and determined to help you live yours too. She is a partner Spirit of Faith Christian Center in Temple Hills, MD, under the leadership of Pastor Michael A. and Dr. DeeDee Freeman. In August 2011, Melanie Bonita’s book “Daily Dose of Determination” became a #1 Amazon Bestseller in the Kindle Hot New Releases in Christian Prayer Books category. Creative Praise International was birthed in 2008 out of obedience to the Holy Spirit. God has also given her a vision to help women be healthier through dance and gospel fitness workouts. Melanie Bonita with her gospel fitness class has been featured in the news, magazines and on television internationally to include Newsweek Magazine, Yahoo News, CBS, and NBC just to name a few. She currently resides in Mitchellville, MD and has one daughter, Crystal. She has a Bachelors of Science Degree from Bowie State University.